Hot off the presses is my new blurb, “Salmon in the Goldfields.” I wrote it because I wanted a memoir of all the good times I’ve had floating down the Yuba River from Parks Bar to Hallwood Boulevard. I also wanted to thank my friends, Kit, and Richard and Theresa for their willingness to lead these trips that meant so much to me. Consequently, just as I completed my little book (it’s only 20 pages), I received a letter from SYRCL – The South Yuba River Citizens League asking for a contribution to their “Yuba Salmon Now” campaign. I thought, this is perfect! I should contribute any proceeds from the sale of the book to their organization. Kismet. As my story evolved, I couldn’t help but to convey my sense of loss from the damming of the river and the resulting blockage of the passage of fish to the upper reaches. Most people I know don’t think this situation can improve, not with so much mercury in the sediment, and not with so much opposition from people who benefit from the dam’s existence. But SYRCL is different. SYRCL exists because so many people love the river. If anyone can get this done, they can do it. It is their passion, and, as it turns out, it is mine, as well. So, fellow bloggers and followers, do your duty. 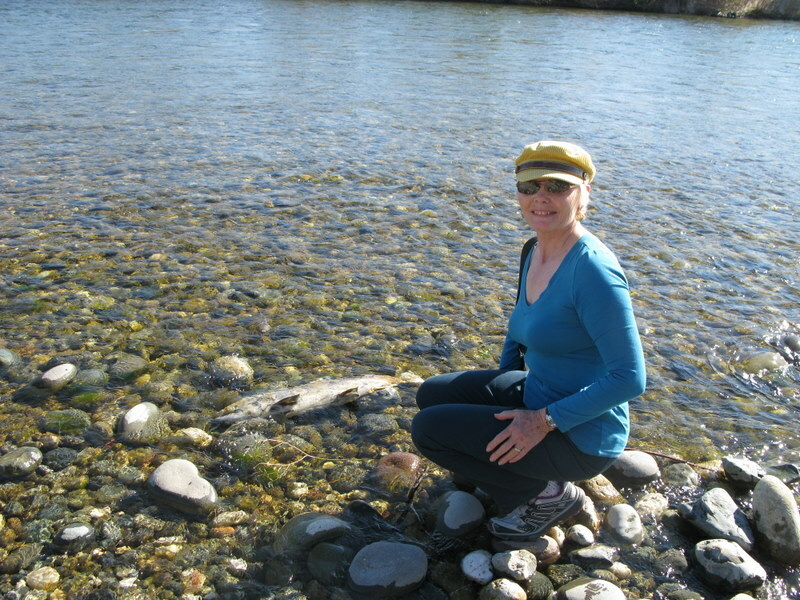 Buy my book and show your support for the Yuba River and salmon. You can order it here by clicking on the “Writing” page at the top of this blog.